Two men suffered serious injuries Friday when they crashed their car in Bay Ho, plunging their SUV down an embankment. 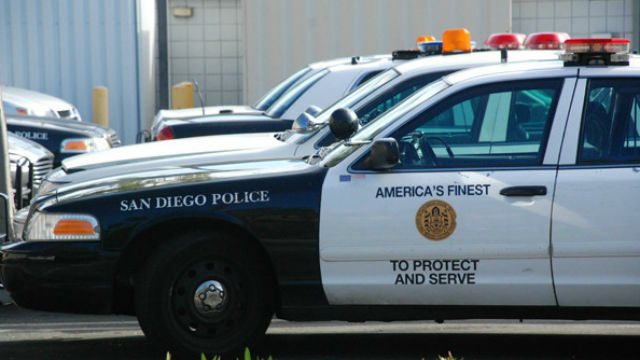 The driver of the 1998 Chevrolet Tahoe lost control in the 5500 block of Regents Road shortly before 1 p.m., San Diego police said. The northbound vehicle struck a guardrail, then skidded off the roadway, Officer Tony Martinez said. One of the two passengers was thrown from the tumbling SUV, and the other managed to crawl out after it came to a halt, upside down, on a grassy slope. Medics took the men, ages 22 and 28, to a hospital for treatment of severe injuries, including fractures, head trauma and a broken back. Officers were unable to determine which of the two had been driving the vehicle, Martinez said.